McMurdo Station is a U.S. Antarctic research center located on the southern tip of Ross Island. It is operated by the United States through the United States Antarctic Program (USAP). 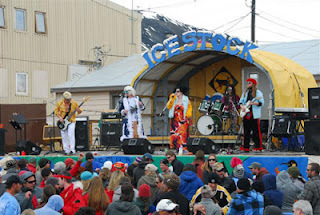 The station is the largest community in Antarctica, there are approximately 1000 residents in the summer (November-February) and fewer than 200 residents in the winter. British explorer Robert Falcon Scott first established a base close to this spot in 1902 and built Discovery Hut, still standing adjacent to the harbor at Hut Point. The United States officially opened its first station at McMurdo on Feb. 16, 1956. The primary focus of the work done at McMurdo (nicknamed ‘Mac-Town’ by its residents) is science, but most of the residents are not scientists, but station personnel who are there to provide support for operations, logistics, information technology, construction, and maintenance. 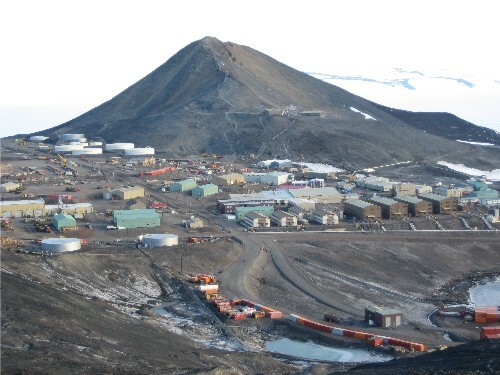 Close to McMurdo is a very high hill called Observation Hill (750 ft/230m), nicknamed Ob Hill. It is a volcanic cone. On the hill there is a big wooden cross that serves as a memorial for Robert Falcon Scott and his South Pole expedition team members. Antarctica is also an interesting experiment of social life, not conditioned by races, chauvinism or stupid questions connected with differences of religions, languages, etc. I only dislike the fact of some months of total darkness. Without this "black" particular, I really think it would be a nice place also for human life. 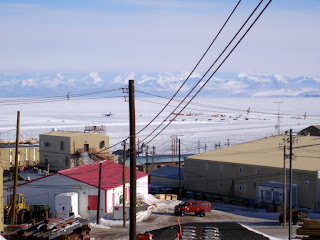 Nice post which Close to McMurdo is a very high hill called Observation Hill (750 ft/230m), nicknamed Ob Hill. It is a volcanic cone. In the hill there is a big wooden cross that serves as a memorial for Robert Falcon Scott and his South Pole expedition team members.Thanks a lot for posting this article. Thank you. I noticed the cross when researching (aka googling) the area. It looks like an impressive place.